This excellent resource book is designed for musicians, teachers, educators and anyone interested in sharing song, dance, and ritual. Compiled by Kate Marks © 1993 available as an e-book, PDF file. Includes 16 songs, chants and rounds drawn from Buddhist, Sufi, Native American, Jewish, African, Hindu and Celtic traditions as well as contemporary earth based ritual and circle songs. 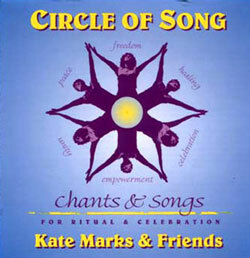 Produced and performed by Kate Marks in collaboration with other artists, it features beautiful, rich multi-layered musical arrangements, vocal harmonies and rhythms that inspire us and resonate deep in our beings. 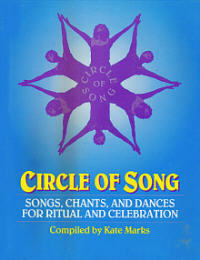 The music and lyrics for the songs and chants on this CD are printed in the companion book Circle of Song: Songs, Chants and Dances for Ritual and Celebration. 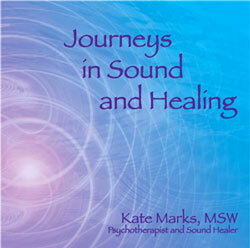 You can also download the CD electronically as an MP3 through CD Baby.